North Face is an American manufacturer of outerwear, fleece, footwear, and accessories like backpacks and sleeping bags. They have products designed to protect you through the most extreme weather conditions and for everyday, normal wear. With Big Apple Buddy’s personal shopping service, you can now buy direct from the North Face online store anytime, anywhere. 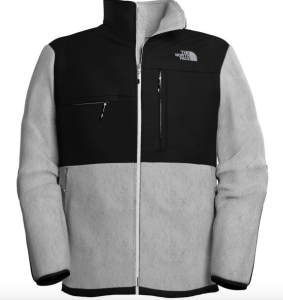 North Face is especially known for their fleece jackets. The Custom Denali Jacket is an iconic fleece jacket carefully designed to provide warmth and comfort in cool to cold weather. This particularly fleece is customizable, so you can bring your own personality and style to the design. Choose from a variety of colors, and you can also choose to have custom text emblazoned on the inside of the jacket. This jacket provides ample protection from the cold and the wind, and is made of recycled content, which helps minimize the amount of waste in landfills. The Women’s Thermoball Triclimate Jacket has a 3-in-1 layering system that is designed for all-day outdoor exploration. This jacket will provide you with the best possible protection throughout cold and wet conditions. Made of breathable and insulated material, this jacket will keep you comfortable no matter what the weather conditions. Choose from a purple, blue, or black design. North Face also has plenty of options for the little ones. Get the kids ready for back-to-school with the Youth Recon Squash Backpack. Half the size of North Face’s adult Recon bag, this backpack is the perfect size to tote around your child’s lunch and school supplies. It also comes in a variety of designs and colors, so they can choose which one they want to sport through the hallways! 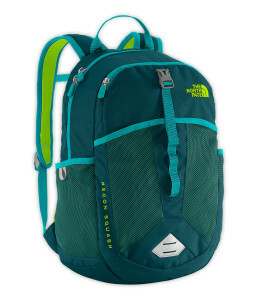 Unfortunately, the USA North Face online store does not currently offer international shipping. However, Big Apple Buddy, your personal shopper, can help you buy products direct from the official USA North Face online store and ship them to your doorstep, no matter where you are in the world. 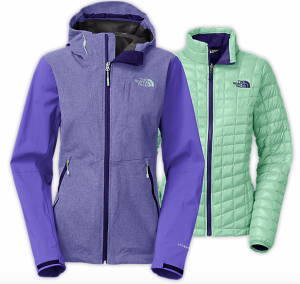 If you would like to buy from the USA North Face online store, simply let us know which items you would like to order (by filling out the form below) and we’ll get back to you with a free international shipping quote within 24 hours!